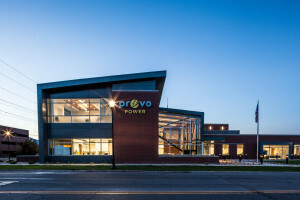 The Provo Power building & campus houses 60+ employees and approximately 45 line trucks, bucket trucks, pickup trucks, and other heavy equipment. The job duties range from Electrical Lineman, Line Clearance Arborists, Sub Station Technicians, Meter Technicians, Electrical Engineering, a 24/7 Electrical Systems Dispatch Operations Center and Administration among others. this is all handled at our Customer Service Office (3-1-1) that is located at City Hall (351 West Center St.). 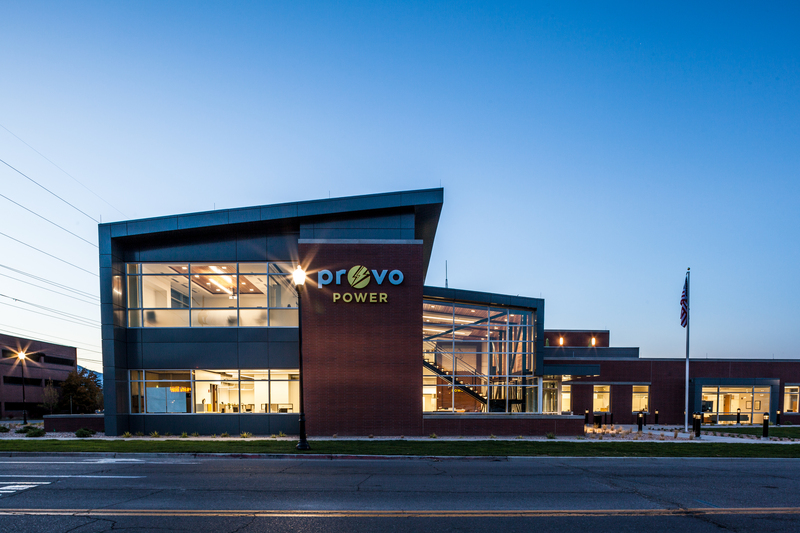 The Provo Power building and complex pays tribute to the history of Provo Power which began in 1940. If you’d like to come by for a tour and to find out more about what we do we’d be happy to schedule an appointment. Please contact us at info@provopower.org or by calling 801-852-6886. Provo Power is a big proponent of solar and other renewable energy sources, and we see a bright future with more and more options that are becoming readily available for our customers. With all the recent interest in (and confusion about) the current state of solar power and net metering in Provo, we thought it might be helpful to share an explanation of how net metering customers are always utilizing the electrical grid and why the rates and fees are set the way they are for net metering customers in Provo. This video explains in good detail how it all works, but feel free to contact us if you have more questions. You can send an email to info@provopower.org or call 801-852-6802 to schedule an appointment.